A stunning antique 15 ct gold brooch locket set with sparkling old cut diamonds. The stones are set on an unembellished platform which is surrounded by rope detail scrolls and balls. It also features ornate shell shape ends with the flour de lyse set inside. There are five stones in a row with a further two set either side in teardrop settings. The locket on the reverse has the original glass intact. 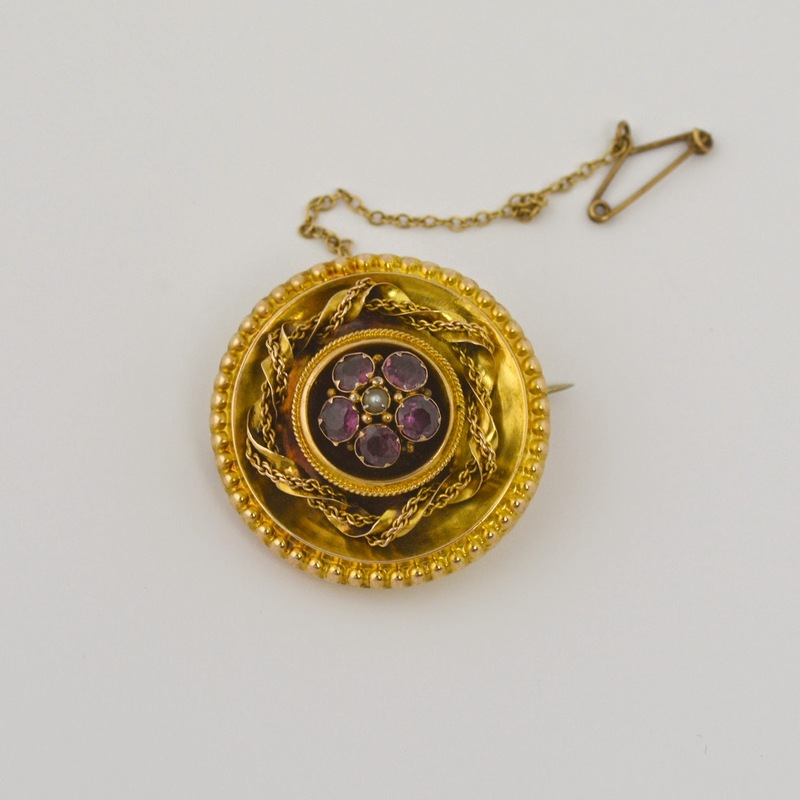 A superb antique 15t gold brooch and picture locket. The garnet stones are set in a flower shape with centre seed pearl. There is some interesting ornate twisted gold set around the main setting with rope detail. 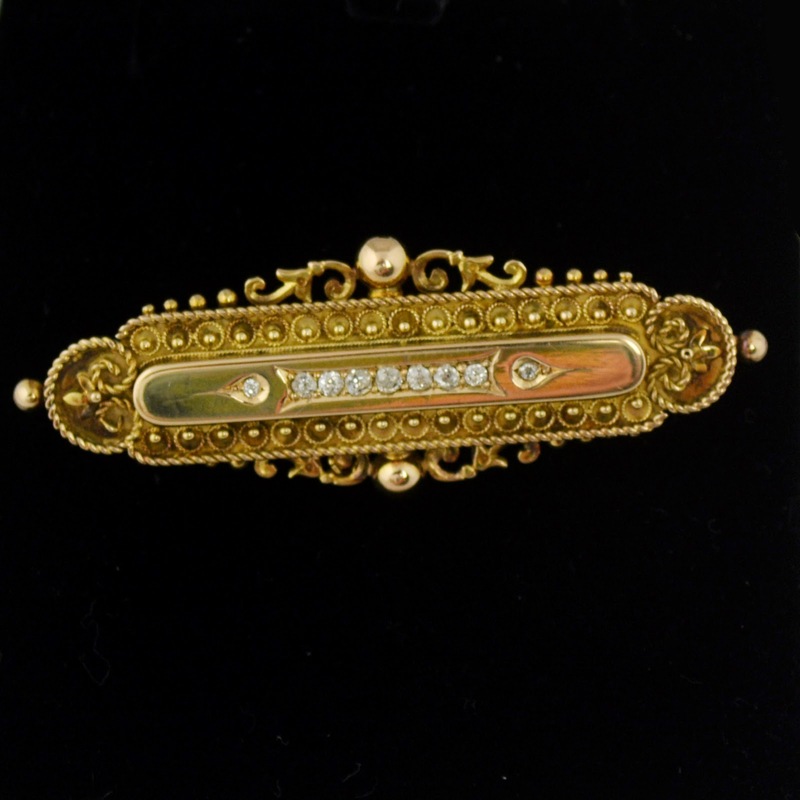 Please take a look in my store where you will find some beautiful and interesting antique jewellery items. I am always updating stock and try to hand pick the best pieces. 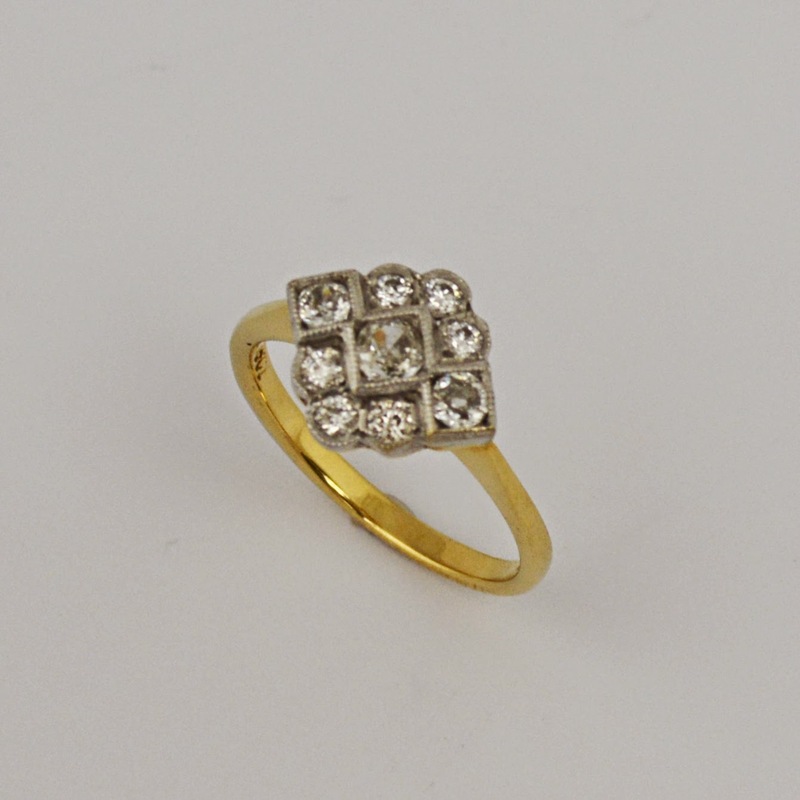 A fantastic ring made in 18t yellow gold which features diamonds set into a diamond shape head. The diamonds are a good grade and display a good amount of natural sparkle. The ring is hallmarked. A wonderful antique brooch in the form of a crest and star with bow. 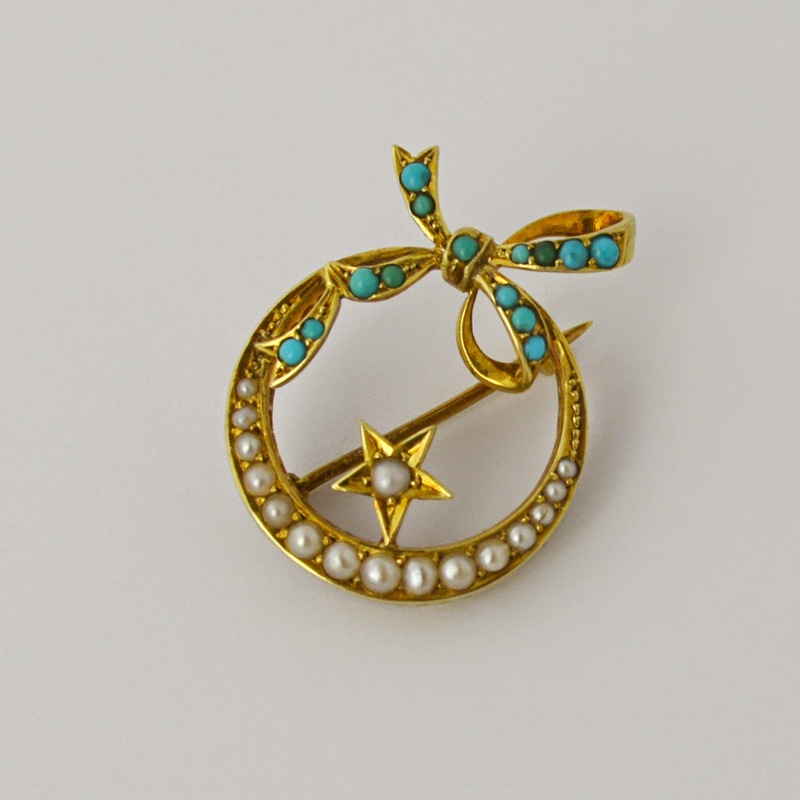 It features graduating turquoise stones and complimenting pearls and a gold pin. The brooch is stamped for 15Ct gold. A gorgeous antique 9ct gold pendant with peridot and seed pearls. 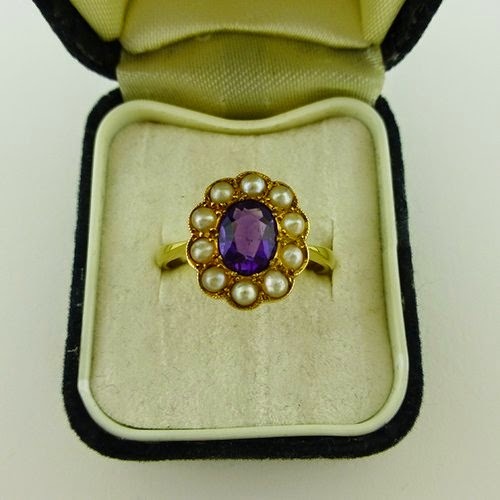 A superb ring made in 18 Ct gold and featuring a gorgeous amethyst surrounded by pearls and set in 18t gold. A gorgeous picture locket and brooch which displays a beautiful flower shape made up of 9 almandine garnet stones encased in gold settings. 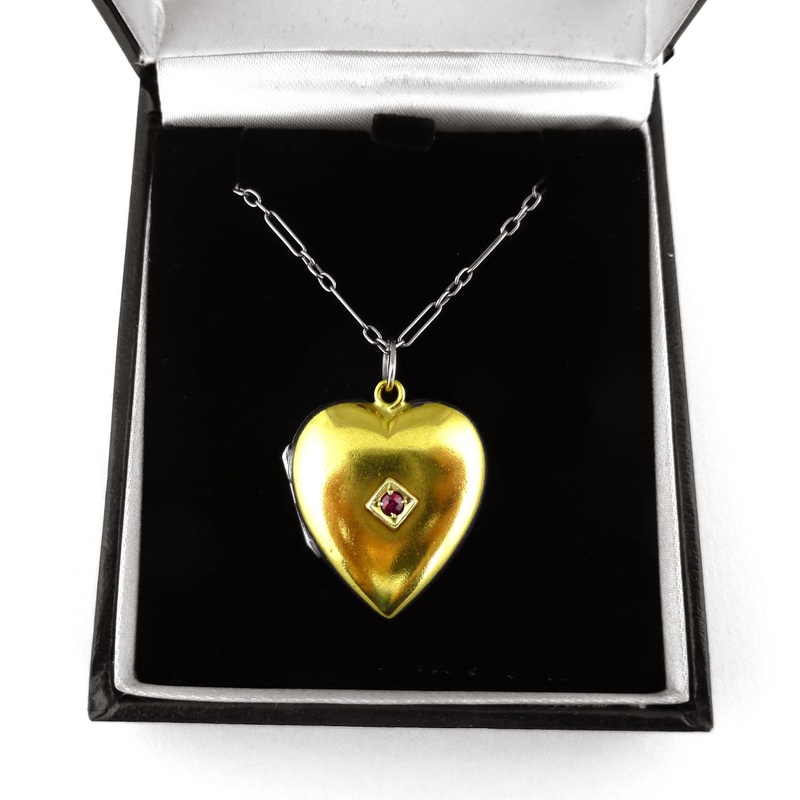 This is a very pretty 9 ct gold antique locket in the shape of a heart. 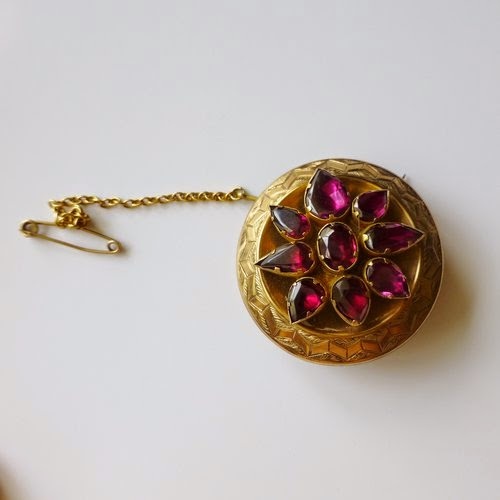 It features a round ruby set in a square mount. This antique 9ct gold pendant from the Edwardian period is very pretty and elegant indeed. It features two facet cut aquamarine stones separated by a gold scroll shape link.